Unearthed in California by Mike Drew (renowned Pantera expert), this vehicle had been stuck in an open-ended barn for many years. Although not having been moved in over 3 decades, it is found to be in magnificent condition and with some careful attention, the powerful V8 engine is brought back to life. Acquired by Roger Brotton and shipped back to the Three Point Four workshop, the Pantera undergoes a full restoration. As a result of its singular storage conditions, the bodywork is rust free and the exterior paintwork is sprayed an iconic period De Tomaso factory apple green. The engine and gearbox are detailed; the clutch, starter motor, carburettor, ignition and electrics are upgraded and the sand-cast Campagnolo wheels re-furbished. The interior, with its original dashboard, is renovated back to the factory standard, headlining replaced and seats returned to Pantera vinyl leatherette. With 50,000 miles, full service history, owners handbook and supporting restoration photography, this truly exemplary vehicle has featured in specialist classic car magazines and at industry events and is one of only a handful of these vehicles in the U.K still enjoyed on the roads today. For enquiries, please contact Michael on 07879 485910. For Sale UK Fully Restored 1972 De Tomaso Pantera. Image courtesy of Classic & Sports Car Magazine. 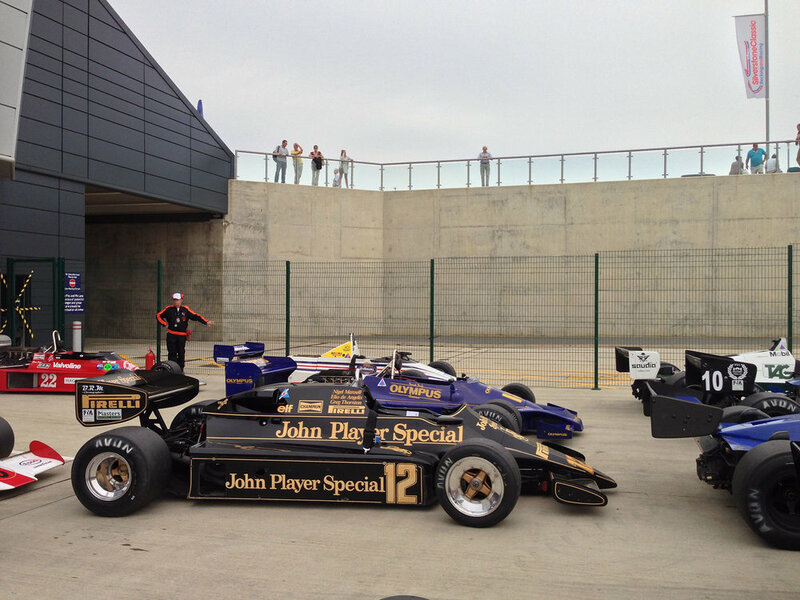 It was a very hot weekend at the Silverstone Classic this year, but this didn't phase the thousands in attendance at the world's biggest retro racing event. With over 1,000 race entries and in excess of 10,000 privately owned classics, there was something for everyone to enjoy. 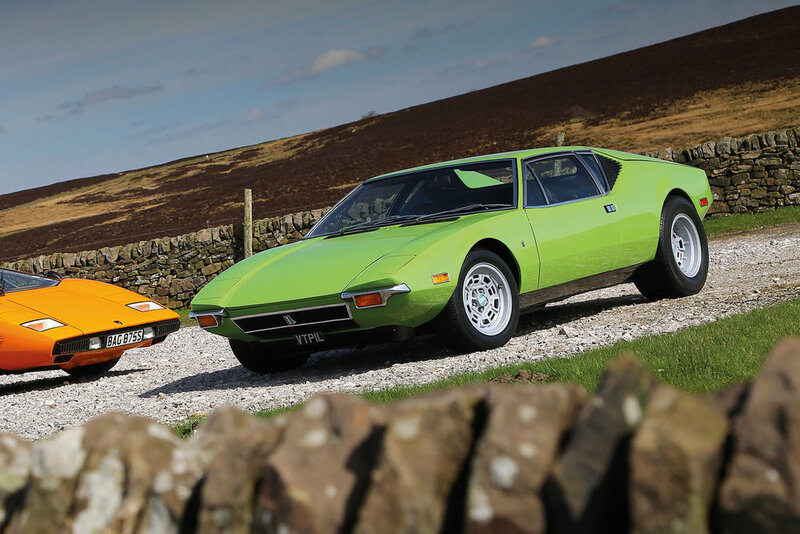 The Silverstone Auction this year boasted a 1972 De Tomaso Pantera, Pre-L. Exported from California to New Zealand, this car had been restored over a number of years and featured on the front page of a New Zealand classic car publication in 2016. Acid-dipped and resprayed in original grabber blue, it has furnished Campagnolo wheels and original dashboard and instruments. Its Ford 5.8L V8 Cleveland, gearbox and ZF transaxle had been rebuilt. Interestingly, the owner had decided to not re-fit its chrome bumpers, although they were included as spares for the purist. A great looking vehicle, this Pre-L sold for £82,125 including buyer's premium. The Le Mans Classic 2018 attracted record breaking crowds, with 135,000 spectators enjoying this re-tracing of the history of 24-Hour Le Mans - the greatest endurance race in the world. 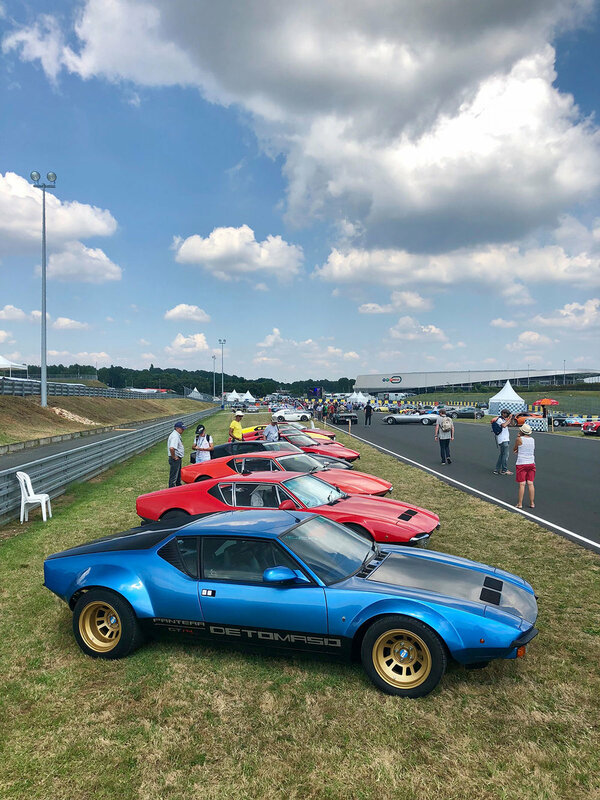 As usual, the De Tomaso UK Drivers Club made the trip over to France for this spectacular event and will be covered in the next edition of our magazine. A Pantera GTS on tour. De Tomaso Club De France. A Pantera GT4 diecast miniature by French company Norev. There was much excitement over this find!